Amazon.com, Inc. ("Amazon") is insanely popular because consumers love the simplicity of the shopping experience. Of course, they may not realize that a lot of work goes into this behind the scenes to ensure the marketplace runs smoothly and efficiently. As an Amazon merchant, you are well aware of how much effort it can take to meet the requirements. Once you get an order and confirm you have the inventory, for example, you still have to go through the process of finalizing the shipment. One of the steps in this process is to sticker all items sent to Amazon's FBA fulfillment centers. You must also include a label about the box’s contents to avoid being subjected to a fee. Fortunately, our RestockPro tool has the ability to print custom stickers and labels to streamline the process, saving you valuable time and money! If you’ve ever felt overwhelmed during shipment prep, you are not alone. Following Amazon guidelines can be tricky, even for experienced sellers. If you are a RestockPro user, however, be sure to take full advantage of the features that make stickering and labeling so much easier. Once you select the print sticker option, the line items required by Amazon will be pre-populated automatically. If you’d like to enhance the information on the stickers, you may add descriptors such as SKU, ASIN, UPC, EAN, Supplier SKU or even custom text (including your store name or an expiration date). 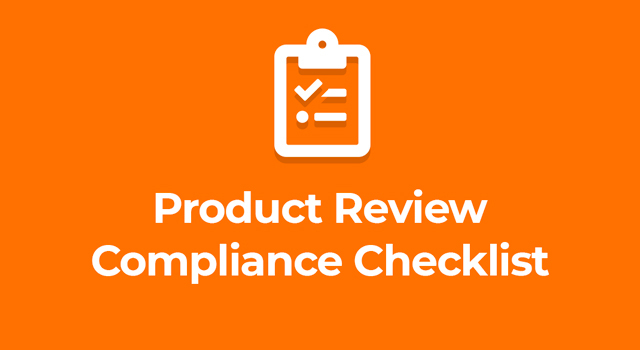 Not only will you be compliant but this can also help with local inventory management. We understand that each business has its own unique needs, so flexibility is important. RestockPro gives users customization options that work for label printers like Dymo and Zebra, whether they need 30-up labels or individual custom-size stickers, while still meeting the specifications set by Amazon. You will be able to choose between three user-friendly ways to format 30-up label sheets that allow you to either print a blank separator sticker (also available for custom-size labels), page break by SKU or simply print continuously. You’re in control! Best of all, you can preview your designs and then choose to only print the stickers you need to meet Amazon’s requirements. No more wasted sticker paper! One of the first things you will learn as an Amazon seller is that you want to make sure that the box content information you provide is complete and accurate. Failing to comply in this area will likely result in delays and added fees. You probably also know that this can be a tedious and frustrating process. Don’t worry, though — we’ve got your back. You can easily include product quantities and expiration dates for every single box in a shipment without ever having to leave RestockPro! The tool gives sellers the ability to specify the box content source as a 2D barcode, a feature that is especially useful if you also have your suppliers adding 2D barcodes to their items. All you have to do is let Amazon know to expect 2D barcodes when the shipment arrives. In addition to avoiding penalties, this improved box content management strategy can reduce the time needed to get your items unpacked, making them available for purchase that much sooner. Ensuring that your shipment prep is accurate is essential to avoid delays and additional fees. Why waste time and money troubleshooting the process when you can simplify shipping and receiving while remaining compliant? RestockPro’s features make it easy for everyone involved to understand the requirements by automating shipment preparation. The pre-populated fields allow you to simply print and apply the stickers, so that your boxes can be unpacked as soon as they arrive at the Amazon warehouse. Are you ready to see what RestockPro can do for your business? Try our risk-free 21-day trial and reach your full potential!